Home / clarinet choir / Long Time No Type! It sure has been a while since I’ve updated! A lot has happened since December 11, 2017! February was a busy month with work, Addams Family, and a Tallahassee Winds concert. 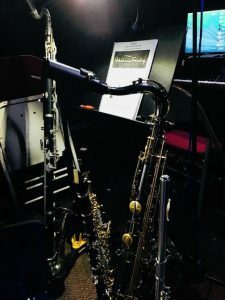 I had the opportunity to play the Reed 2 (flute, clarinet, bass clarinet, soprano sax, tenor sax) book for the FSU Theatre production of The Addams Family. The book was a lot of fun to play, the music was great, the show was hilarious, and the cast was absolutely fantastic! Probably one of the best pit shows I have done so far in my lifetime. If you ever get the opportunity to see the musical Addams Family, I highly encourage that you buy tickets and see the show. 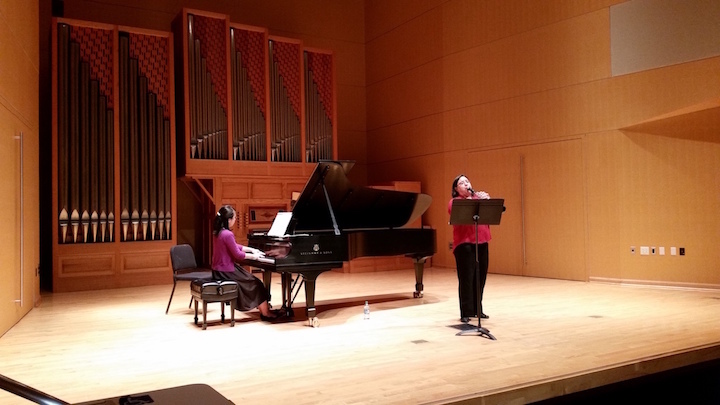 In April, Dali Duo flew to Seattle, WA to perform a concert at Central Washington University in Ellensburg, WA. The stage was a great place to perform on, there was great turn out, I got to see faces I haven’t seen in a long time, and I was finally back in my home state, which I hadn’t been to for 7 years! It felt good to be home and see family again. The day after the recital I gave a master class and the players there were great! They were well prepared, open minded, and great people. The studio grew significantly since my time there many moons ago. Felt happy for my alma mater. The last Winds concert of the season was held in May – players’ choice concert. Program was awesome! Music was great and clarinets had a lot of stuff to do. Frank Ticheli’s Blue Shades was one of the pieces on the program and I finally had the opportunity to play that solo. I loved every second of it! I left my job as a ophthalmic technician beginning of August and, luckily, was offered a job to teach math and science for adult education at the end of August. It took some time getting used to this new job and teaching a curriculum with a format so different than everything I have ever experienced as both a student and a teacher. It’s satisfying to assist these students’ in obtaining their GED. It’s not easy by an means and it takes a lot of work, but I think it’s worth it. At the end of August, the Tallahassee Breezes gave a concert at Westminster Oaks and Mulligan Park Retirement Communities. This was our second season as a clarinet choir and I think they did a fantastic job! Concerts were very musical, intonation was great, and everyone was solid. Couldn’t be more proud of them. Tallahassee Breezes opens up this season this coming Tuesday, 10/2, and the clarinet choir will perform one piece on that program. Thankful to Dr. Dunnigan and Dr. Plack for allowing us to share the stage with the Winds. Lots of things coming up. Check back later for more updates/reviews/etc.